Our products allow your business to maximise the opportunities wireless charging technology provides. to maximise the opportunities wireless charging technology provides. Get wireless, buy from our range of QI enabled devices today. Our advanced modular system allows for easy upgrading as new wireless charging technology becomes available, for easy installation in any business environment. 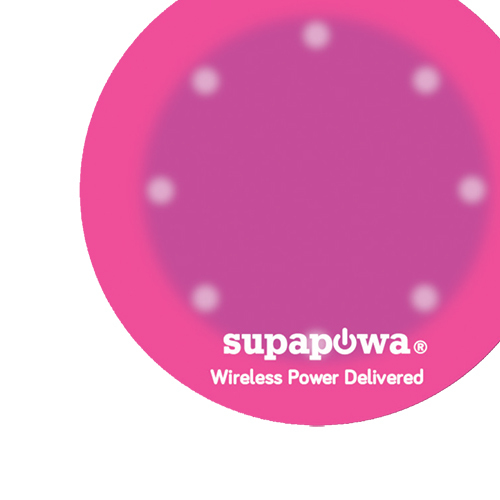 Our range of SupaPowa Pebbles are there to help people that do not have wireless charging embedded into their devices to take advantage of wireless charging. 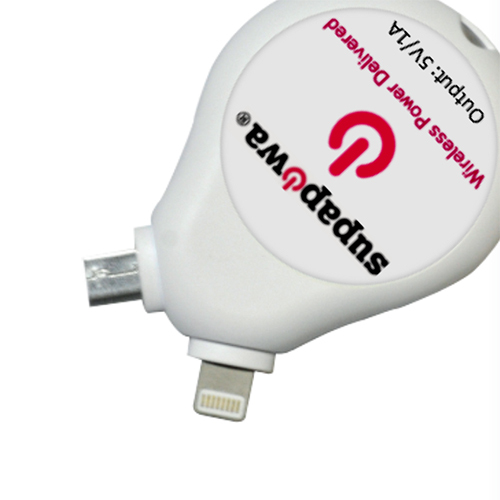 Our range of portable charging technology provides the best in wireless power without the need for installation. Get wireless. Our bespoke service provides a certain level of support and advice that will aid the smooth integration of wireless charging technology in any setting. We can embed our advanced technology so that it is hidden or make it a feature of any surface. 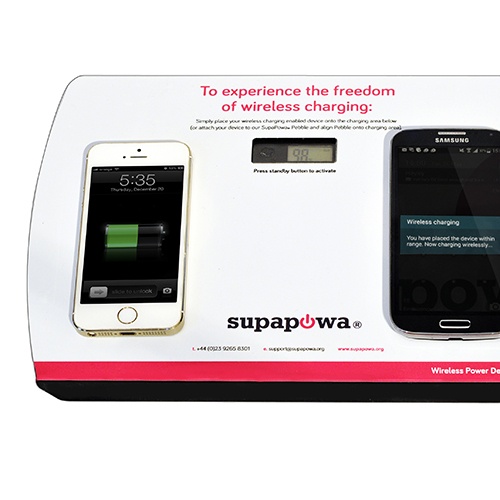 SupaPowa - the perfect wireless charging solutions. We support our customers to stay ahead of the market, our SupaPowa® range supports even the most advanced technology, including the iPhone X, iPhone 8 and iPhone 8 Plus.